Beads, king cakes, outlandish costumes and parades are just a few of the memories revilers world-wide will takeaway from their Louisiana festival experience, particularly Mardi Gras or better known as Fat Tuesday. 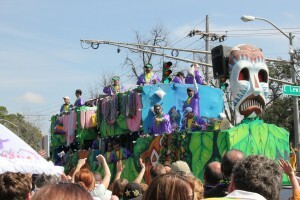 Each year hundreds of thousands prepare and anticipate the grandeur of Louisiana Mardi Gras. Elaborate and elegant Mardi Gras Balls lead the way along the magical carnival season and begin a journey of celebrating weeks before the big day arrives. 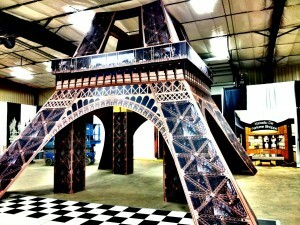 Each year Pixus prepares itself for the major role in creating stunning Mardi Gras decorations like the Eiffel Tower, cutout standees, banners and more (photo shown at right). 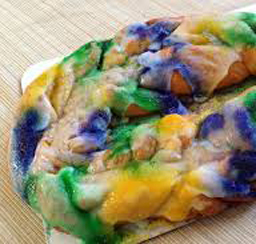 Mardi Gras became a legal holiday in Louisiana in 1875 and was once a Christian holiday with roots in ancient Rome. Religious leaders at that time decided to incorporate the celebration into their faith injecting a much deeper and spiritual meaning? This time of year begins the Catholic Epiphany or King’s Day culminating on the day before the Holy Day, Ash Wednesday. 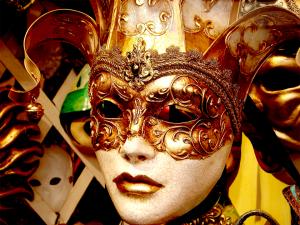 Popular practices on Mardi Gras include the wearing of bright, colorful masks and costumes, overturning social conventions, dancing, parades, and of course the colorful beads. Similar expressions to Mardi Gras appear in other European languages sharing the Christian tradition, as it is associated with the religious requirement for confession before Lent begins. 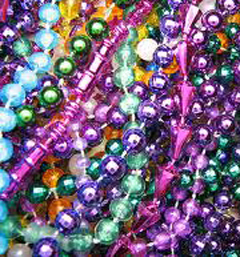 In many areas, the term “Mardi Gras” has come to mean the whole period of activity related to all celebratory events, beyond just the single day. In some American cities it is now called “Mardi Gras Day.” It has also become a single people’s counter to the coupled-centric Valentine’s Day.